Artificial intelligence and machine learning are hot topics in almost every industry right now. As we’ve talked about before, these concepts are widely discussed at conferences and events but rarely implemented in their truest form. This is overwhelmingly the case for digital publishers; as few have been able to harness the power of their data to adapt true machine learning principles to their web properties. Below, we have compiled some long-term data for several sites that have implemented these principles over the last few years. In this study, I’ll review the data of 5 different websites that have been using the power of true machine learning (not algorithmic principles) to adjust layouts and ad positions on their websites for over +2 years. What you’ll see in this data is a direct correlation between the ability to adapt and learn from user behavior, and the opportunity for publishers to leverage that data to improve website traffic monetization while increasing natural website traffic. What’s most significant about the information in this quick study is just how dramatic the results were for each publisher despite the criteria we used for selecting these 5 publishers (which is described below). At the end, I’ll summarize key takeaways, offer additional insights, and provide some actionable tips. 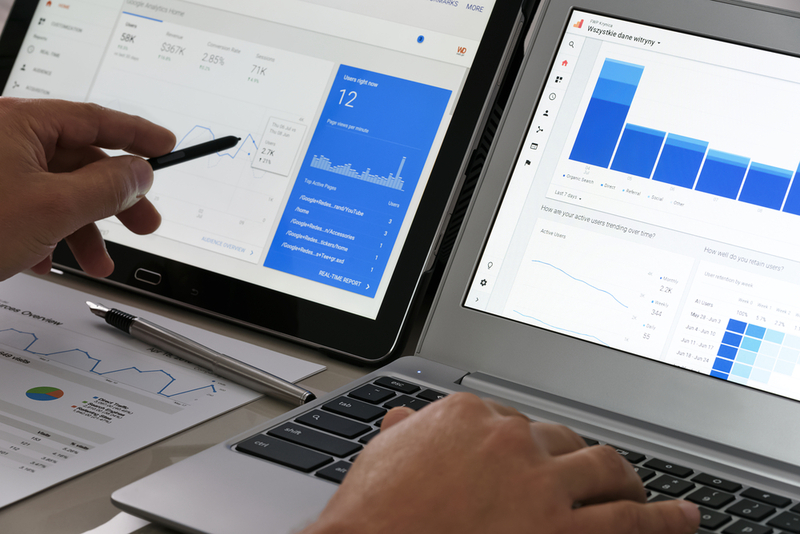 As anyone involved in website traffic monetization knows, there are a lot of variables that go into things like ad rates, publisher earnings, website traffic, and more. This means finding consistent websites that can be evaluated long term for these types of studies isn’t easy; however, I’ve selected 5 evergreen content websites that derive the majority of their website traffic from organic search to help us control some of those volatile elements. 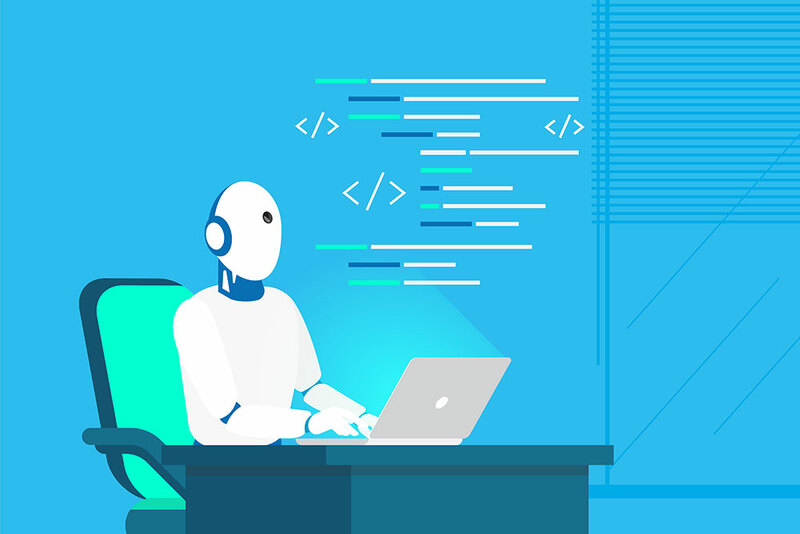 With all these elements in common, these 5 sites should offer some insight on the benefits of applying machine learning to website traffic monetization. We will look at what was adjusted and what benefits they may have offered these websites. We will be really looking at the end results for each site in 3 ways: how was revenue affected, primary traffic affected, and visitors affected? This will provide insights around the monetary value of the experiments, the longevity of these practices (i.e. does Google hate it and degrade organic traffic over time??? ), and how visitors objectively feel about it as well. Ultimately, we should get a pretty clear picture over a multi-year period with every website to see how adjusting layouts and ads — based visitor behavior over time — ultimately affects website traffic monetization. What did these sites do in the study? Each site below used Ezoic in the same way. They leveraged the Ezoic Layout Tester application to learn from visitor behavior, then Ezoic automatically adjusted website layouts and ad placements; based on what it has learned over time by applying real machine learning. This means that every website visitor could have potentially seen a different combination of layouts, ad placements, and ad densities. The publishers in this study all set Ezoic’s machine learning to balance revenue with user experience metrics to ensure users were pleased with efforts to generate additional earnings. Below we will highlight each website, their niche audience, average monthly traffic, and how machine learning impacted their website over an elongated period of time. 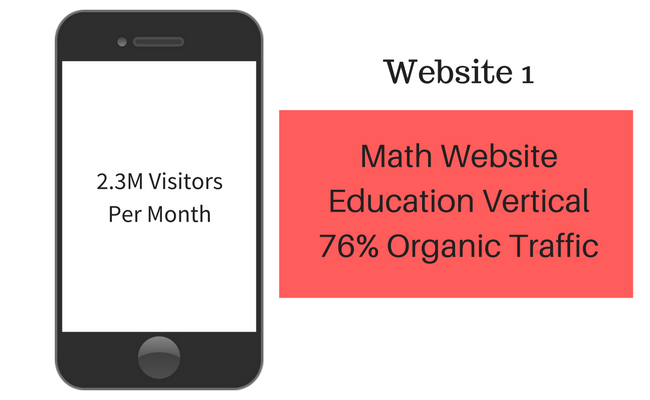 Their Audience: This website focuses on math-related content in the education vertical. They currently receive approximately 2.3M visitors per month with 76% of the traffic coming to the site via organic search. Website traffic monetization strategy: Their primary source of monetization for the site is display ads. They do have a paid membership available to visitors that delivers an ad-free version of the website, but it accounts for only a small portion of the website overall revenue. How layout testing impacted revenue: By implementing Layout Tester on their all of their traffic, this website saw a 165% increase in revenue per session. How layout testing impacted user behavior: Users responded positively to the changes. The bounce rate on this website dropped by 14% and pageviews per visit steadily increased throughout the testing period. This resulted in longer sessions and higher earnings. How layout testing impacted organic website traffic: This website saw organic traffic increases throughout the life of the study. Ultimately, this site increased organic visitors by approximately 150,000 per month by the end of the study. Their Audience: This website focuses on US History and would be considered part of the reference vertical. They currently receive approximately 1.2M visitors per month with 89% of the traffic coming to the site via organic search. Website traffic monetization strategy: Their sole source of monetization for the site is display ads. How layout testing impacted revenue: By implementing Layout Tester on their all of their traffic, this website saw a 120% increase in revenue per session. How layout testing impacted user behavior: Users responded positively to the changes. The bounce rate on this website dropped by 25% and pageviews per visit improved by 34%. This resulted in longer sessions from all visitors and higher earnings per visitor. How layout testing impacted organic website traffic: This website saw organic traffic increases throughout the life of the study. Ultimately, this site increased organic visitors by approximately 190,000 per month by the end of the study. Their Audience: This website focuses on word puzzles and would be considered inside of the game/novelty vertical. They currently receive approximately 900K visitors per month with 75% of the traffic coming to the site via organic search. How layout testing impacted revenue: By implementing Layout Tester on their all of their traffic, this website saw a 115% increase in revenue per session. How layout testing impacted user behavior: Due to the nature of the website (largely single page design), pageviews per visit were largely unaffected; however, bounce rate did decrease incrementally over the course of the study. This led to nearly a 1-minute improvement in session duration over the lifetime of the study. How layout testing impacted organic website traffic: This website only saw a small average monthly increase in organic website traffic — an average of approximately 15,000 organic visitors per month by the end of the study. Their Audience: This website focuses on a broad set of science and technology topics and is in the science and technology vertical. They currently receive approximately 3.1M visitors per month with 88% of the traffic coming to the site via organic search. Website traffic monetization strategy: Their primary source of monetization for the site is display ads; however, they offer paid site memberships and informational guides that account for a small portion of the website’s overall revenue. How layout testing impacted revenue: By implementing Layout Tester on their all of their traffic, this website saw a 105% increase in revenue per session and more than doubled their average monthly earnings. How layout testing impacted user behavior: Users responded very positively to the changes. The bounce rate on this website quickly dropped by 20% and maintained that level. Pageviews per visit improved by nearly 60%. This resulted in session durations that were nearly 2x as long as they were prior to implementing machine learning. How layout testing impacted organic website traffic: This website saw organic traffic increases throughout the life of the study. Even despite declines over the past several months, this site increased organic visitors by an average of 70,000 per month by the end of the study. Their Audience: This website focuses on psychology topics and is in the social sciences vertical. They currently receive approximately 3.8M visitors per month with 85% of the traffic coming to the site via organic search. Website traffic monetization strategy: Their only source of monetization for the site is display ads. How layout testing impacted revenue: By implementing Layout Tester on all of their traffic, this website saw a 400% increase in revenue per session. How layout testing impacted user behavior: Users responded very positively to the changes. The bounce rate on this website was cut in half (part of this may have been due to the speed improvements that Ezoic makes). Pageviews per visit also improved by nearly 73%; which contributed to 120% longer session durations. How layout testing impacted organic website traffic: Along with massive revenue and user experience improvements, this site saw a steady increase in organic traffic throughout the life of the study as well. In this case, the site added approximately 400,000 additional organic visitors per month. These websites all had multiple factors in common and were largely untouched during the study period; which is what made them such great subjects for this study. There are millions of variables at play in the web publishing business so it cannot be stated that all sites will experience these same types of results; however, studies like this continue to make the case that with so many variables in play, it is impossible to treat all visitors the same without harming revenue, UX, and traffic to some degree. Questions, comments, thoughts? Leave them below and our researchers will respond. Thanks for sharing wonderful post very useful information. Sounds very interesting and is something I will look to implement on my site with Ezoic. The only thing I would question is the increase in organic traffic, as you don’t mention how much new content was being produced before/after the implementation of the layout tester and neither do you see how much organic traffic increased prior. If you could provide that it would give a better sense of how organic traffic increased mainly due to the layout tester. Apart from that, very interested and kind of amazed with the results – let’s hope it happens for other evergreen websites! Certainly tons of variables. It is not something we outwardly market — as it is not the core use of the platform. That said, we’ve seen this effect on over a thousand different websites. Ezoic has nothing but a positive effect on SEO based on tons and tons of data (as reported by more than just our team).